Someone pinch me is it really finally actually here? I love the holiday season so much I am basically skipping around New York not believing that it's one day till December. I am stringing every corner of my apartment with lights and jamming to Christmas music. Not to mention in the mood to bake a new treat every night, this can't be good for my health but you know when you're just in the mood? 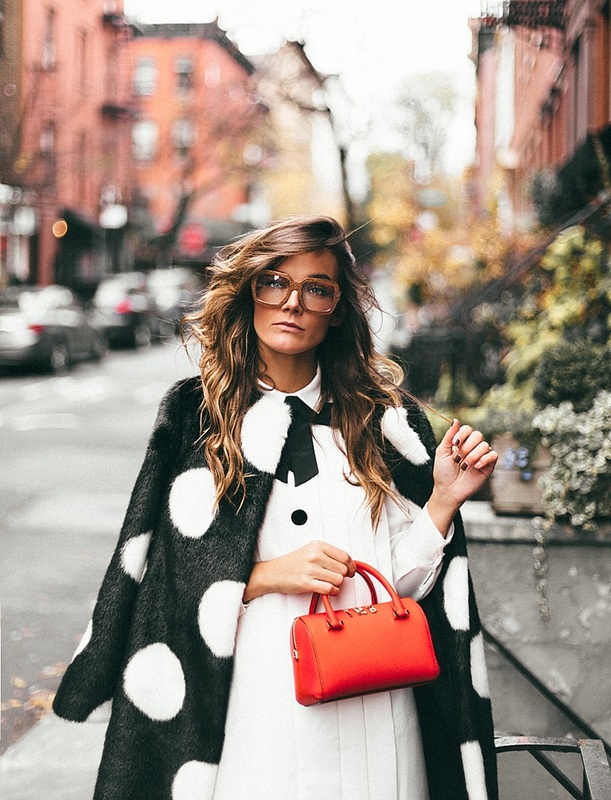 I am really excited to be in collaboration with kate spade new york this season bringing you some of my favorite looks for the holiday. 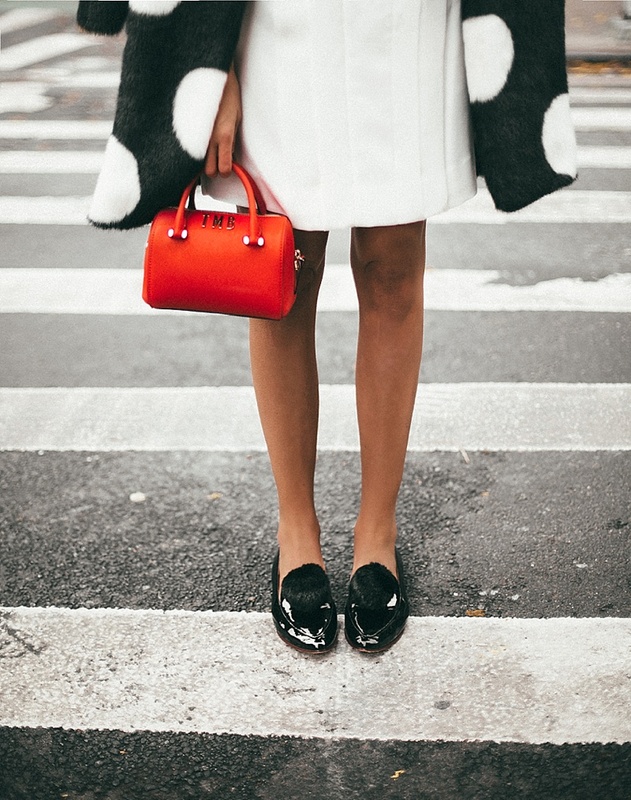 Can we take a moment of silence for how cute this lil red bag is? They have about a million stickers on their site so you can customize your bag and I think I am about to go crazy with how many options they have... So cute! 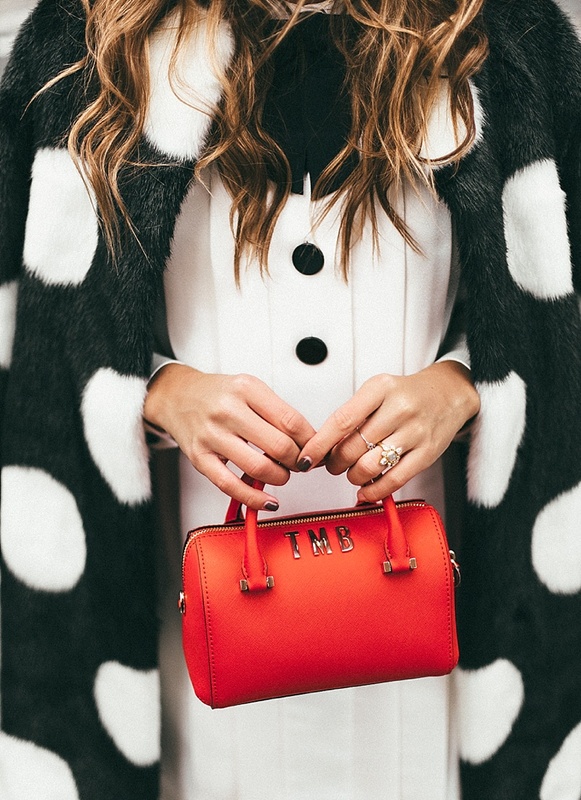 I am also thinking this coat is going to be a new every day staple cause it's about as warm as it gets and I have always dreamed of looking kinda like Curella Deville walking around the city with a dalmatian, I think this is pretty close? The first time I wore it ( and this is not an exaggerations ) I was stopped 6 times in 2 hours. Safe to say all women & men are loving this coat just as much as I am. Here is also the link to the cute flats and shirt dress! I am not quite sure how the snow has not started to fall yet but lets be real I am dreading it. I want it for Christmas of course because what brings more magic than fresh snow, but I can wait till then! The snow always lasts way longer than you want it to, so my thinking is if it starts late... it will end early? Go with me here, lets send those vibes into the universe and make it happen. Also, side note, how on earth is it legal for the sun to be setting at 4:30, yes you heard me, 4:30! The second the sun sets I am calling it a day AKA ready for dinner, ready for bed! Ugh I have to do some major adjusting! If anyone has any tips please be sure to pass them along. Hope everyone had a magical Thanksgiving. 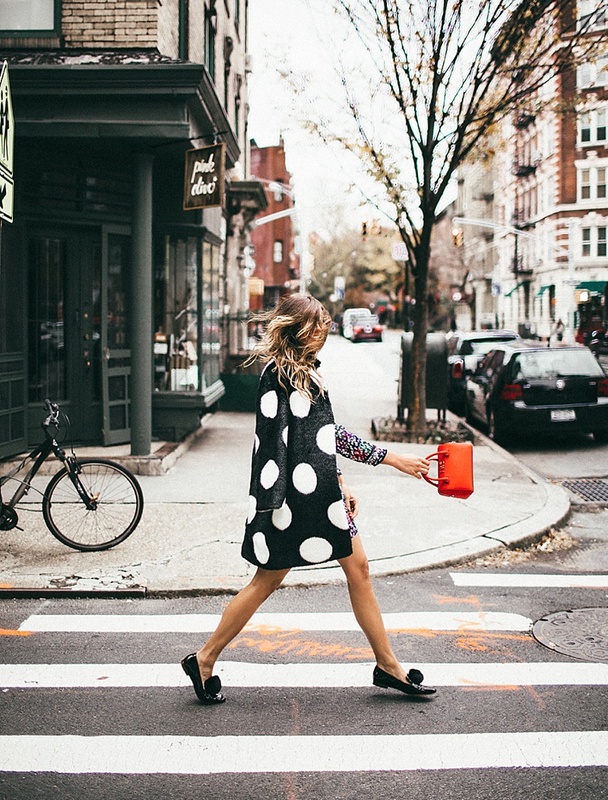 Love the red bag and the big polka dots are so cute. You can be able to download your best music and can take the benefit of online music by subscribing the popular website. This is a great high resolution screen which you have shared for the users. kccatl.com Making a website is not an easy task but managing a good website is really a hard work. As far as this website is concerned, I am very happy. Appreciating the persistence you put into your blog and detailed information you provide. HTTP://kccatl.com/ I’ve bookmarked your site and I’m adding your RSS feeds to my Google account. Hey there! Your website looks awesome, could i have some tips on how you did you? Btw, if you require help with business incorporation, we can help you start company here at the best singapore copany incorporation firm!